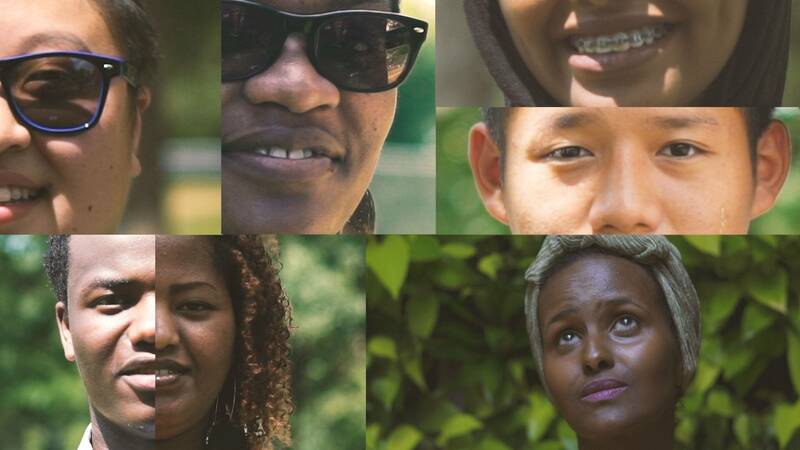 PBS spoke with Author Ifrah Mansour and Filmmaker Kate McDonald about the shared experiences, hope and positive change from refugees across the nation. PBS: Kate, where did the vision for this film and how it would be produced —with Ifrah’s narration over footage of men and women of different backgrounds —come from? Kate McDonald: Ifrah and I had worked together before, and she reached out to me last year about a piece she had written about the drought that was devastating Somalia, asking for my advice regarding making a film about it. In the course of our conversation, she mentioned the Muslim travel ban, which had just been issued, and which had inspired her to write a poem that she was going to read at Twin Cities World Refugee Day. That annual celebration of refugees in Minnesota seemed like the perfect opportunity and venue to take portrait shots to go along with Ifrah’s poem. Since this poem is based on Ifrah’s personal experiences and also experiences that many refugees around the world share, we wanted to create a collage-like component out of the portraits to show both the communality and the diversity that is exists within the refugee experience. "Still, I wanted a poem that listed all the blessings and the lessons refugees, immigrants and Muslims teach us." PBS: Can you tell us more about the subjects you chose for your film? Kate: Twin Cities World Refugee Day was held on a glorious day in July in a beautiful park in Minneapolis. There was so much joy in the air, with people celebrating the diversity of their cultures and heritages through art, food, music, dance and performance. Ifrah read her poem to the gathered crowd and we walked around the park starting conversations with people who were enjoying the event and asking them if they would be willing to pose for a portrait. Our subjects include local musicians, dancers, performers, scientists, politicians, religious and cultural leaders - even the internationally known fashion model Halima Aden.